Google Allo is now available for desktop... but who cares? 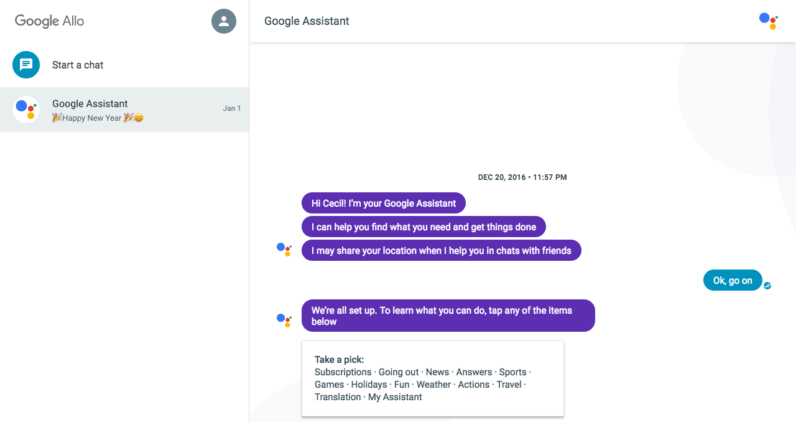 Google Allo is now available for desktop… but who cares? Google is at long last making good on its promise to bring its messaging app Allo to desktop – and the roll-out has already been set in motion. Earlier today the search engine giant launched the web-based version of its Assistant-powered messenger, which you can now access straight from your browser using this link. To load the desktop version, users will have to open Allo on their phone and scan the QR code displayed on the web page. The web-based version so far works solely with Android devices, but Google promises it will soon be compatible with the iPhone too. The company further notes that the app works only on Chrome – which will likely vex non-Chrome users. While Google first announced that Allo would eventually land on desktop back in February, it ultimately abstained from setting a release date in stone. But here is the thing now that it’s finally out: With so many Google-made messaging apps, including Hangouts, Voice, Duo and recently added YouTube chat, do people really care about Allo? I’m not so sure… all I know is that the only contact I have on Allo is Assistant.